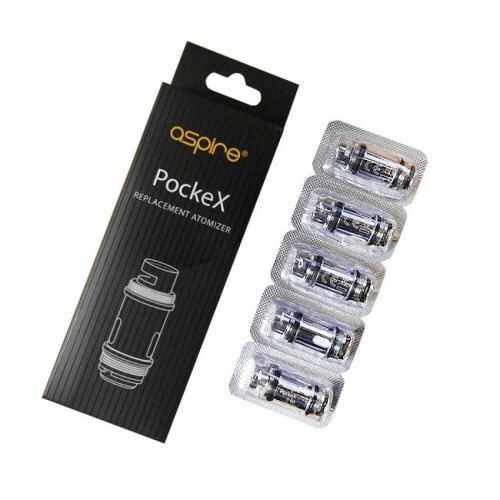 The amazing 0.6ohm & new 1.2ohm MTL coil that fits the Aspire PockeX AIO. The new 1.2ohm coil is for true mouth to lung vaping and perfect for high nicotine dosage without flavour loss. "U-Tech" technology works through the vapour flowing through the u-shaped chamber of the coil, which means it passes twice over the Kanthal coils before being inhaled. This new and innovative airflow performance is what delivered that flavour boost and vapour production increase, creating a more satisfying vape overall.